The latest colorway of the Nike KD VI is set to hit stores tomorrow. 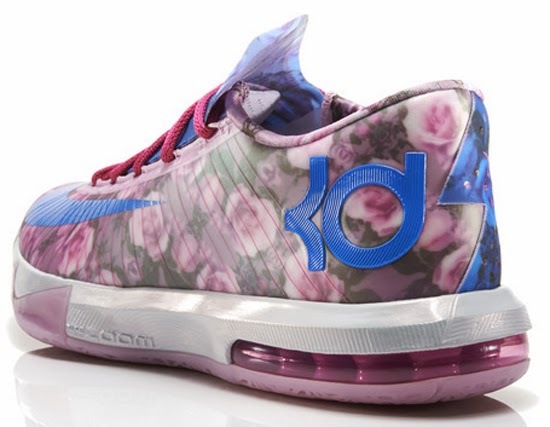 Made to pay homage to Kevin Durant's aunt, this "Aunt Pearl" edition of the Nike KD VI Supreme comes in a light arctic pink, photo blue and vivid pink. 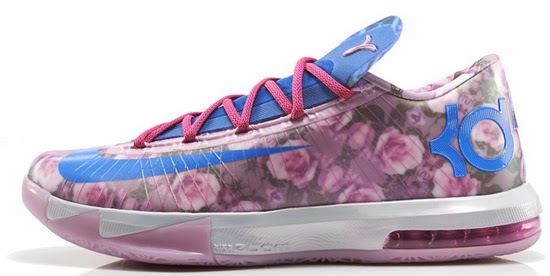 Featuring an all pink rose floral design on the upper. 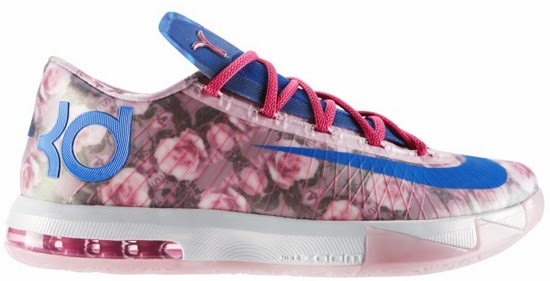 Photo blue accents along with the "Think Pink" Kay Yow ribbon on the tongue finishes these off. A limited release, look out for these at select Nike accounts worldwide on Thursday, February 27th, 2014. Retail is set at $150 for men's and, they will also be available in GS (gradeschool) sizes retailing for, $100. 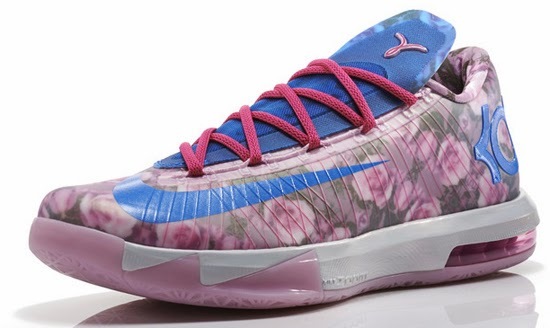 Enjoy the official images below of the "Aunt Pearl" Nike KD VI Supreme in light arctic pink, photo blue and vivid pink. If you're interested in picking these up when they release, check in with your local spots to see if they will be receiving them. Those of you looking for a pair now can, grab them from eBay here.